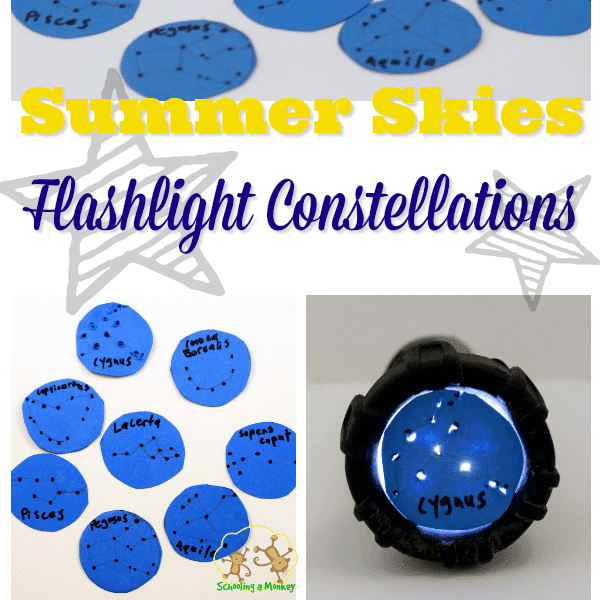 Our favorite way to learn during the summer is with STEM activities for kids. 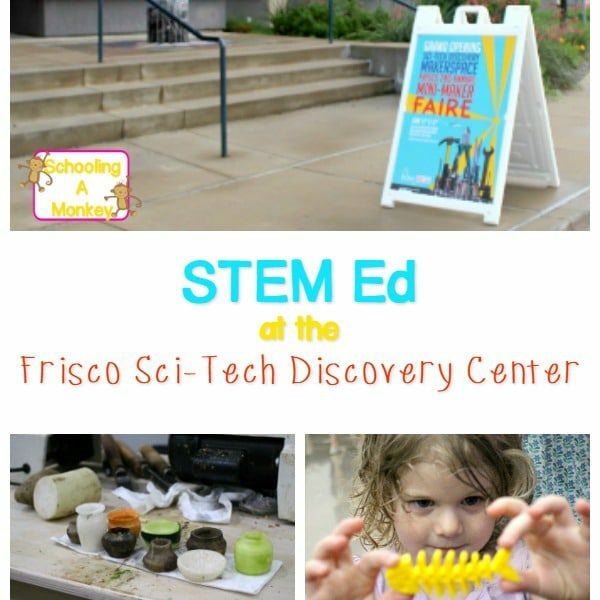 We’ve tried hundreds of projects, had a lot of fun, and learned a lot along the way. 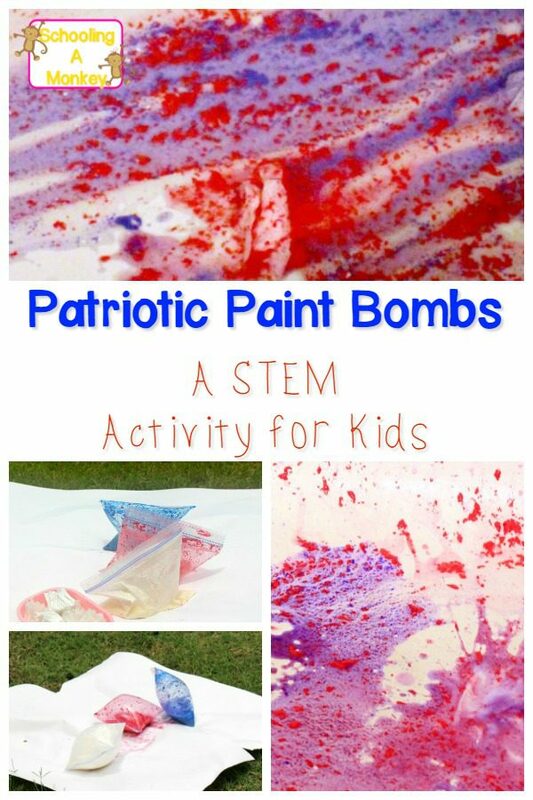 This year, we wanted to make our STEM fun a little more seasonal, which is how we came up for the idea to make patriotic paint bombs. 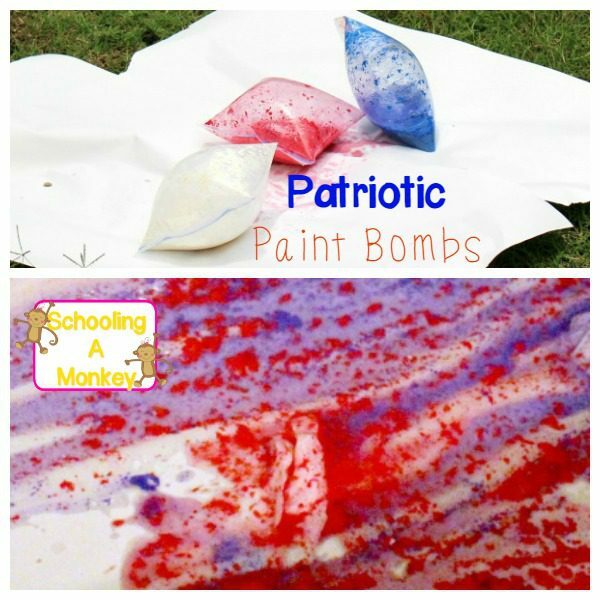 Follow the directions to create your own patriotic paint bombs! 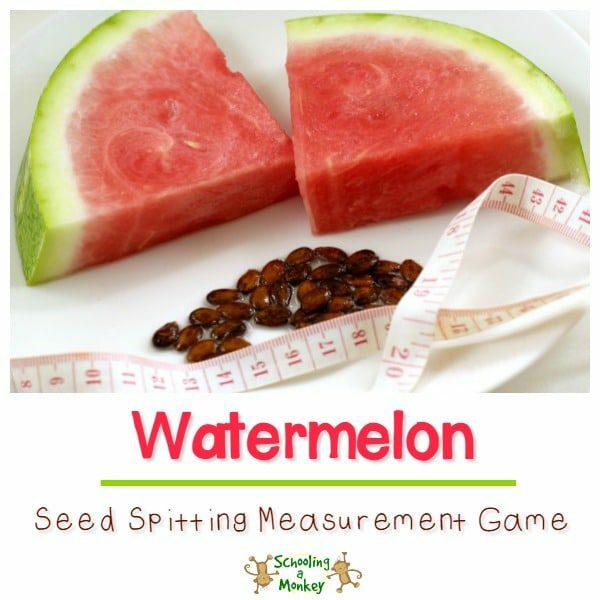 Pour about 1 cup of vinegar into three quart-sized zip baggies. 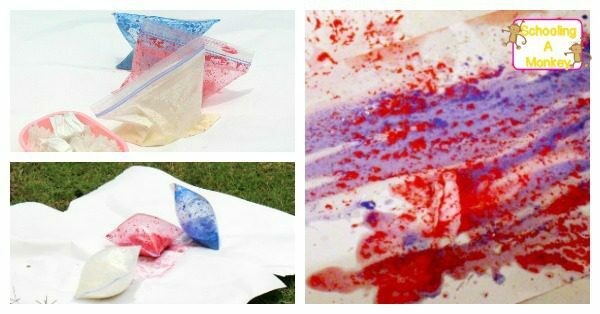 Add about 2 tablespoons of paint to each bag and zip close. Fill each muffin liner with baking soda. 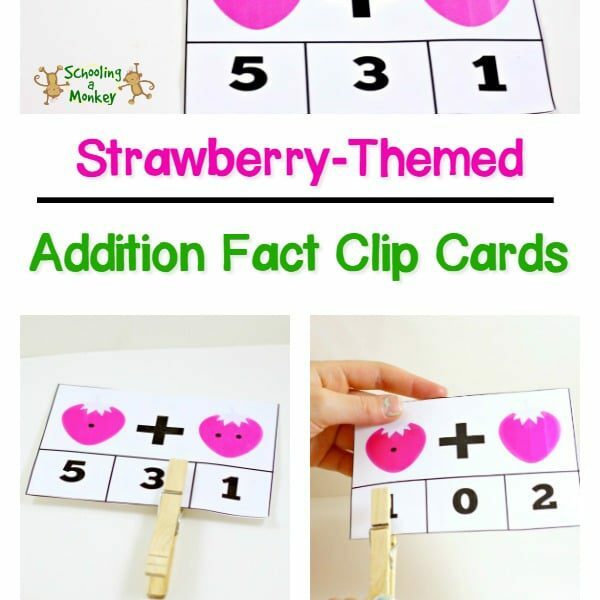 It takes about 2 tablespoons to fill up a muffin liner. Set the liners to the side. Go outside and spread out some butcher paper onto the yard. The spray can go pretty far, so make sure you have a large area covered in paper. Place the bags on the center of the paper. Open them slightly and place the muffin liner inside each bag. We thought they would start to expand and explode immoderately, but there was plenty of time to set the muffin liners inside each bag and close it before major expansion began. Give the bags a little shake to mix in the baking soda. Step back and wait for the bags to explode. It took about a minute for our paint bombs to go off. The kids were fascinated by how messy this activity was and loved watching the paint splatter everywhere. 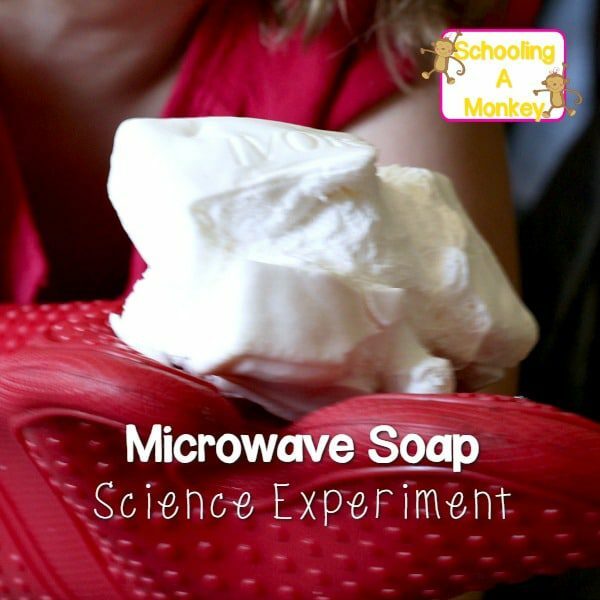 Vinegar and baking soda create a chemical reaction when mixed. When acetic acid and sodium bicarbonate mix, it creates CO2, or carbon dioxide. This expands the bags, which eventually explode, spraying paint everywhere. 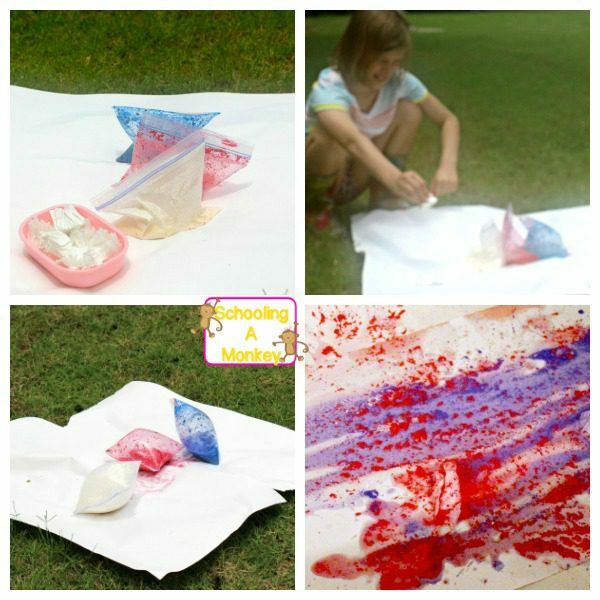 This simple science experiment becomes a STEM investigation when you create variables (differing amounts of baking soda and vinegar) and ask questions (will adding paint make the bags less likely to explode?). 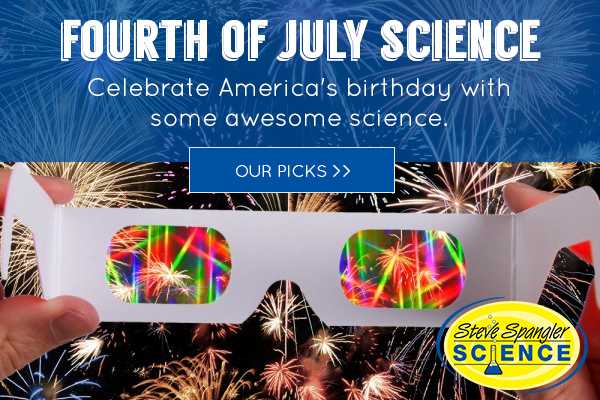 Visit Steve Spangler Science for detailed information on the chemistry of the explosion. We found that you had to add more baking soda to get the bags to explode when paint was added to the vinegar. In fact, our first attempt didn’t produce enough carbon dioxide to make the bags explode and we had to try again.